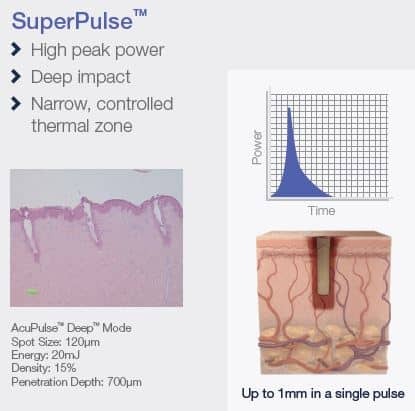 The UltraPulse® laser boasts the Gold Standard UltraPulse® technology, enabling the deepest and safest impact, as well as a full range of advanced capabilities for fractional and full resurfacing, at an unparalleled range of depths. When ablation depth is equal, more energy means more excess heat in the tissue. 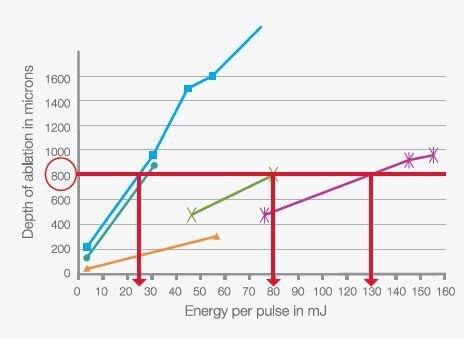 UltraPulse® technology enables the deepest penetration with the lowest energy. 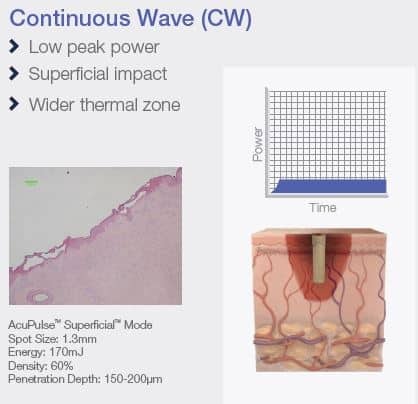 This reduces patient discomfort, downtime and thermal damage. UltraPulse® also enables the shortest pulses per energy level further enhancing patient comfort.